In LOVE with this glowing Glow In The Dark Powder Nails! This Glow In The Dark Powder Nails almost as if stars fell from the sky and landed upon your fingertips. Perfect gift to a spouse, friend, parent, and lover! 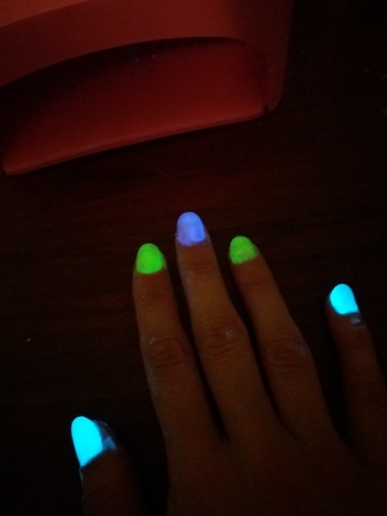 This Glow In The Dark Powder Nails is ready for application right out of the bottle! Order your Glow In The Dark Powder Nails now! This amazing Glow In The Dark Powder Nails is originally sold for $19.95 in our store, but today.....Get it for only $14.95!